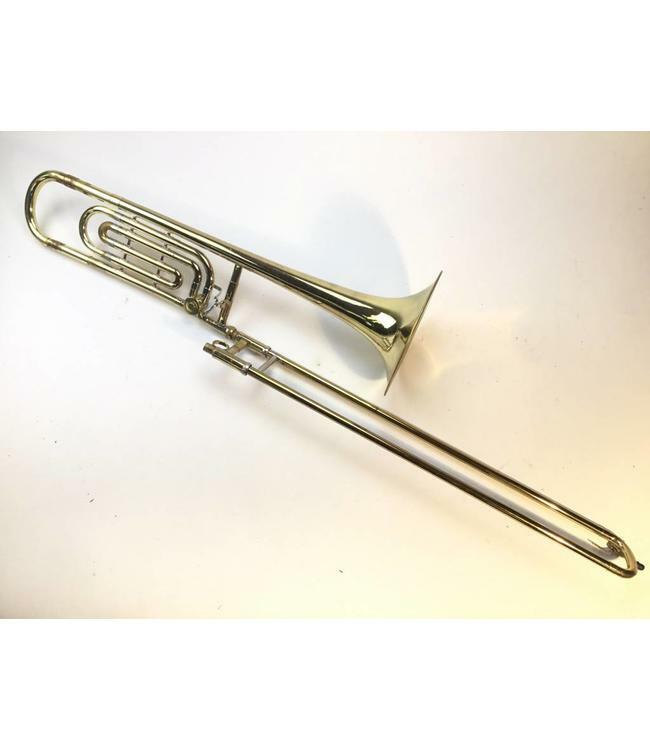 Used Olds Bb/F tenor trombone in lacquer. 8.5" yellow brass bell and .508" bore handslide. Overall good condition - fair condition with plating wear on inner slide tubes and lacquer wear at contact points. Includes case.